Home > News > Wellington U19 Men National Champions !! 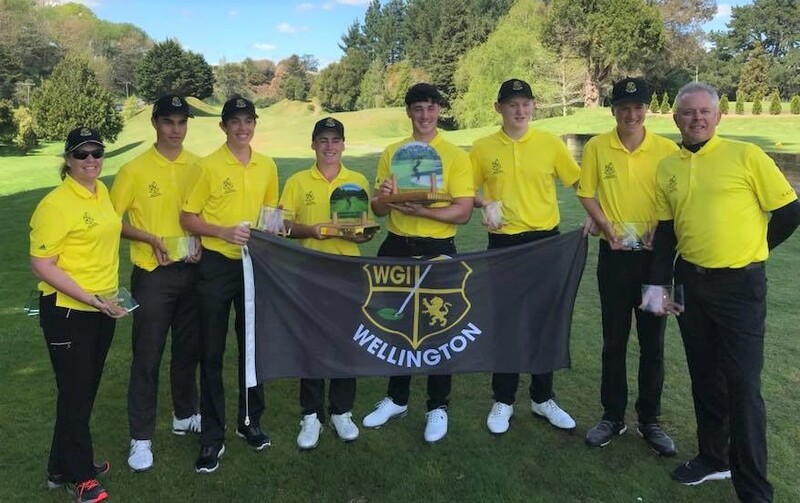 Wellington have triumphed at the U19 Men's National Interprovincial Event in Waikato. A narrow loss in the 1st round to BOP, was followed by a top result (5 - 1) against the 2017 champions Canterbury and dominating wins against Taranaki and Hawkes Bay to qualify for the final. With their nose always in front the team finished the match and the week strongly with a 5 - 1 result and the crown at only Wellington's 2nd attempt in this tournament. Nicolas Changarnier, playing in the No.2 postion, was awarded the player of the Tournament trophy going through the week unbeaten, just edging his team mate and No.6 Harry Ward who was also unbeaten. A superb team effort, players responding in the matches, when many of the good results were not so clearly cut. This adds to the 2017 Girls National title, a nice double for the fine youg players in our region.